This past March, Abreu Report wrote about Claudio Caamaño -- a renowned Dominican guerrilla who fought against US soldiers to a bloody standstill during the US invasion of 1965 and who also would later take part in a 1973 beach landing to topple the government of US-backed strongman Joaquin Balaguer -- after his death in a mysterious car accident. Mr. Caamaño's death sparked fears that a nefarious plot had claimed his life, but today the Dominican government has officially reported that his death did not result from malfeasance on the part of the hospitals which failed to save his life. Also just today, official statistics published on Listin Diario, the oldest-surviving Dominican daily, show that 21% of births in one hospital corresponded to foreign nationals, a number which has increased over the past few years, despite portrayals by the international community of Dominican immigration officials making life difficult for destitute women coming to give birth in the country's shortage-stricken hospitals. After the 2010 earthquake which leveled Haiti and solidified its status as a failed state under United Nations occupation, medical incursions across the Dominico-Haitian border have increased substantially, since Haiti's hospitals no longer function at a recognizable level. 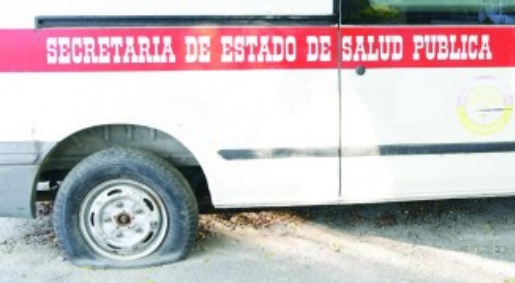 This past April, the large-circulation daily Diario Libre wrote about a hospital in Azua which did not have a blood bank, or a functioning intensive care ward, with destitute patients forced to travel great distances in order to receive an MRI. That hospital in Azua was built a mere 10 years ago, with people from the area complaining that when it was inaugurated everything was state of the art, but that the funds to maintain it in proper operation were never sufficient. Another large hospital in Neiba faces shortages even more shocking, with Diario Libre reporting in early April that improvised metal sheets and plywood were being used to keep the place together, and with a pediatrician in the hospital claiming that children come in with one affliction and leave with another due to the level of overcrowding. 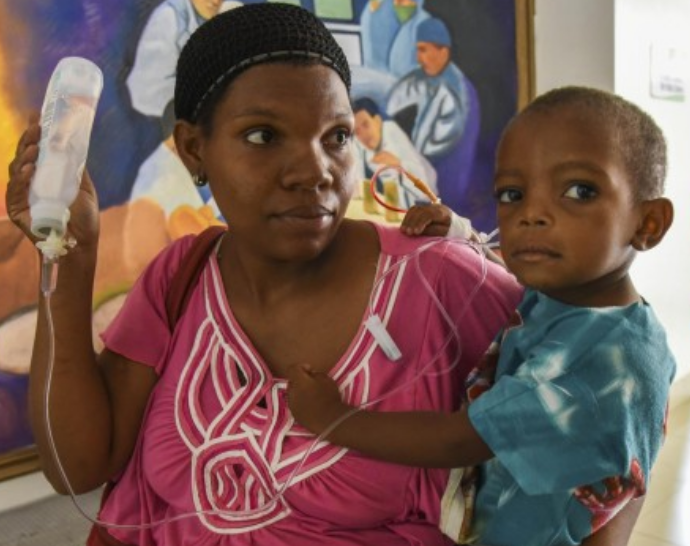 In Neiba, the hospital's driers and washers are not functioning, and doctors are forced to dry bedsheets and surgical equipment out in the sun. There is no ambulance, patients must procure their own transportation, but that patient may be referred to another hospital for bone injuries, since the equipment to place a simple cast does not function. Another hospital in Tamayo was reported to be functioning but by "the grace of God," with dilapidated beds and rusting cribs dotting the hallways, and with doctors forced to write prescriptions using their cell phone flashlights due to the shortage of light bulbs. The hospital in Tamayo does not have an x-ray machine, and the ambulance does not work, forcing patients to hire taxi drivers who in the Caribbean country are very often made paramedics by the hands of fate. Luck in the Dominican Republic means the difference between life or death, since the wrong injury in the wrong part of the country could mean that it may be too late once transportation is procured to a hospital that can provide the proper, life-saving treatment. Although doctors were willing to speak with reporters about the shortages affecting the country, and regarding the large number of foreign nationals coming in to procure free treatment, they were not willing to give their names. The government of President Danilo Medina was slated to begin deportations for 142,000 people who could not even afford 300 dollars for a residence permit, and who could not procure a birth certificate in their home countries, much less a passport. Mr. Medina halted these deportations in willful defiance of a decision by the country's Constitutional Tribunal, and at the expense of the people. A doctor in Villa Altagracia speaking to Abreu Report said: "I've had to perform births using rubber gloves from my own kitchen. I became a doctor to help people, but with the border wide open and more than 20% of births in the hospitals coming from foreign nationals, I can only provide substandard help."